WELCOMING DOOR KNOCKERS FOR A HOME OR UNIQUE GIFTS. A home and its exterior, can say a lot about a person. From the overall architecture to the small details inside, a house showcases an individual's taste and style. Add a music-inspired door knocker to the door to compliment the home's front entry with a uniquely designed element. Anyone visiting will surely feel welcomed, possibly impressed or at least be alerted to the fact that a music lover lives within. Whether adding to one's own residence or giving a gift, TheMusicHouse.com has a great selection of knockers that will be gorgeous additions to any home. 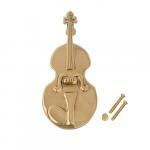 Door knockers are excellent gifts for music-lovers. Whether they play or love a certain instrument or prefer something a little more general when it comes to music, we have something for everyone at TheMusicHouse.com. From brass to percussion to string instruments, our finely crafted musical door knockers can add that certain appeal to any front entry. By choosing a door knocker that celebrates music, any individual, friend or family member can make their entryway unique. 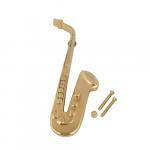 The specific instruments we carry include pianos, saxophones, violins, guitars and French horns. 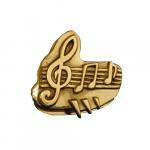 General music symbols such as treble clefs, bass clefs are also available. 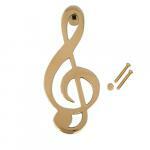 All of our music-themed door knockers at TheMusicHouse.com are made from top-quality materials. 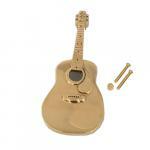 Most are made completely from brass, and some are made with both bass and pewter. 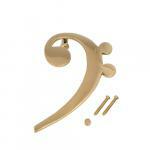 Each door knocker also includes the hardware necessary for mounting to the door. Why Do Musical Door Knockers Make Great Gifts? Purchasing one of these unique door knockers is a great way to enhance the look of any front entryway. They also make incredible gifts for loved ones, family members and friends. Musicians and those who love music will appreciate ways to incorporate their passion into their home's exterior style. Birthdays, anniversaries and other special occasions or holidays can become even more special and memorable with a gift like a music instrument door knocker from TheMusicHouse.com. 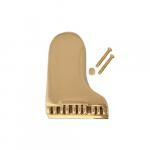 With our all encompassing selection, everyone can find the perfect door knocker for someone close to their heart. Browse through our selection of these smart-looking music door knockers to find the perfect one for any home or to give as a gift to a cherished individual.